Sunday was a wonderful day with a full church and lots of children. 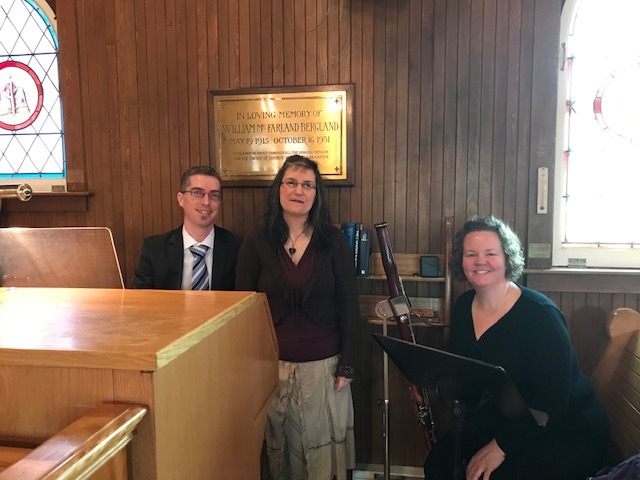 The music was special and the flowering of the cross, a beautiful tradition, was a success. Thank you to all who made this so wonderful. Don’t miss this great music. 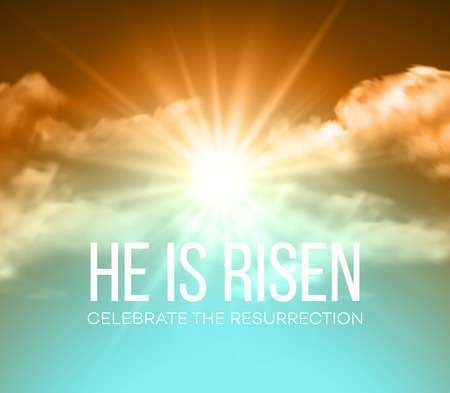 Easter Sunday – 9:00am. That’s this Sunday! 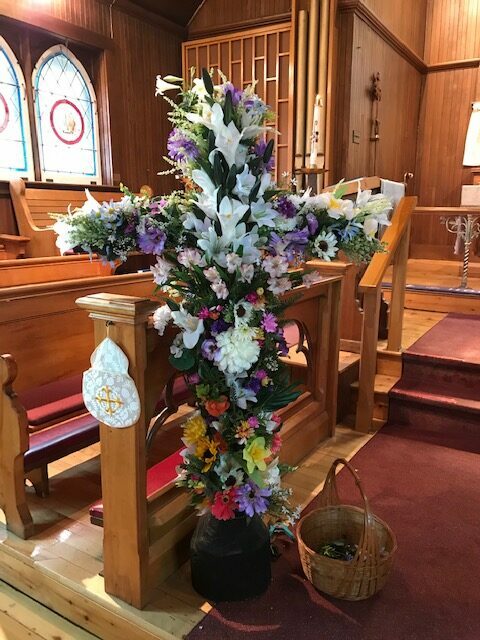 This Easter Sunday, April 21, 2019, we will be flowering the cross again. Like last year, you will have an opportunity to adorn the bare wooden cross from Good Friday with flowers. The flowered cross will then be placed outside following the service for our community to enjoy. This will be our witness to others that Christ is risen indeed! 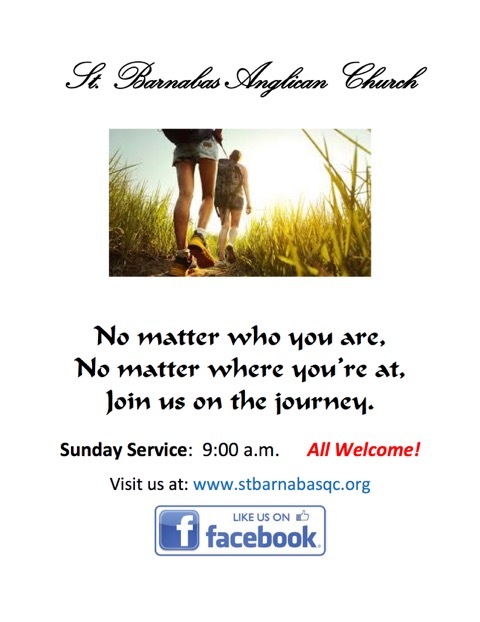 Please bring a couple of fresh or artificial flowers, or greenery, with you to church. You may place them on the cross when you enter the church. Chicken wire encases the cross so the stems can be pushed through an opening. Flowering of the Cross is an old tradition practiced by many Episcopal/Anglican, Lutheran and other Protestant denominations. 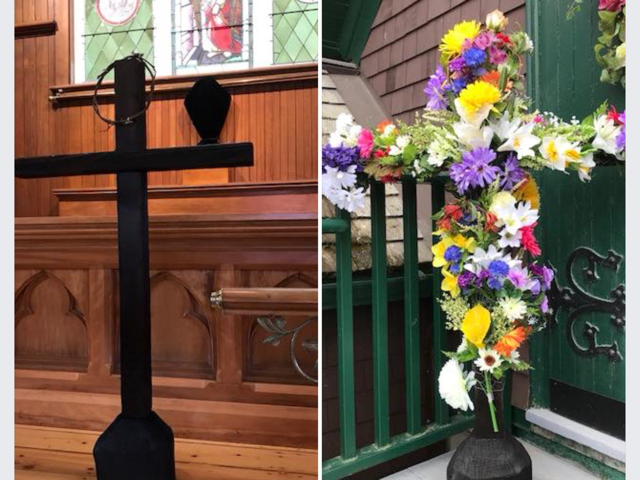 It represents the transition from Good Friday to Easter, from meditating on Jesus’ road to death and crucifixion to celebrating his resurrection. It is a tangible symbol of our faith and hope. If you have any questions, please email me. Spread the word.